Blessed with more than 33, 000 temples, the South Indian state of Tamilnadu is often called as the Land of Temples. No matter your religious affiliation and whether or not you class yourself as architecture lover, it’s impossible not to marvel at these exceptionally beautiful Dravidian masterpieces. 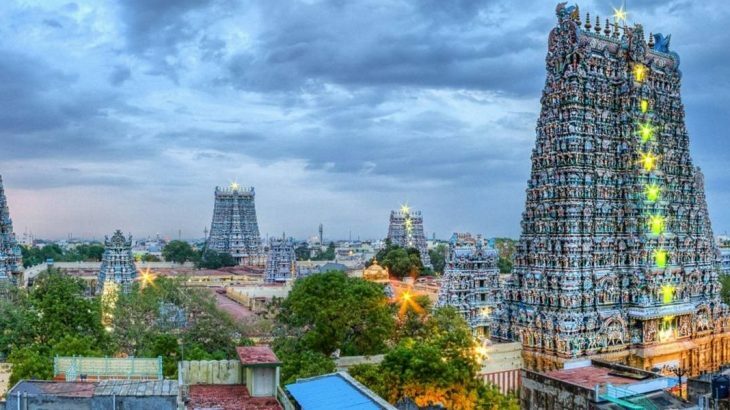 From soaring, intricately carved temple towers to majestic pillars and life-sized shrines, these temples, which display some of India’s greatest temple architecture, must include places for many tourists as part of their Tamilnadu Tourism Packages. 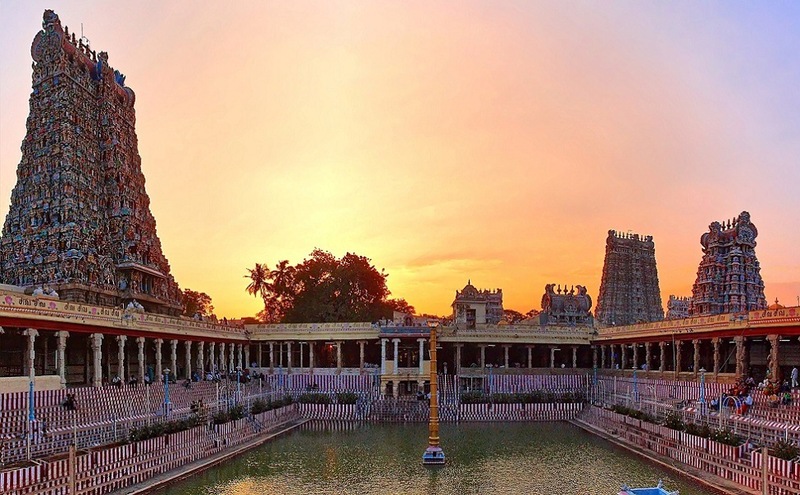 Here is the list of seven temples in Tamil Nadu that you must visit. The 1000 years old Brihadeeswarar Temple of Thanjavur, a renowned UNESCO World Heritage Site, is one of the most ancient temples in Tamilnadu and among the prime Thanjavur Tourist Places. 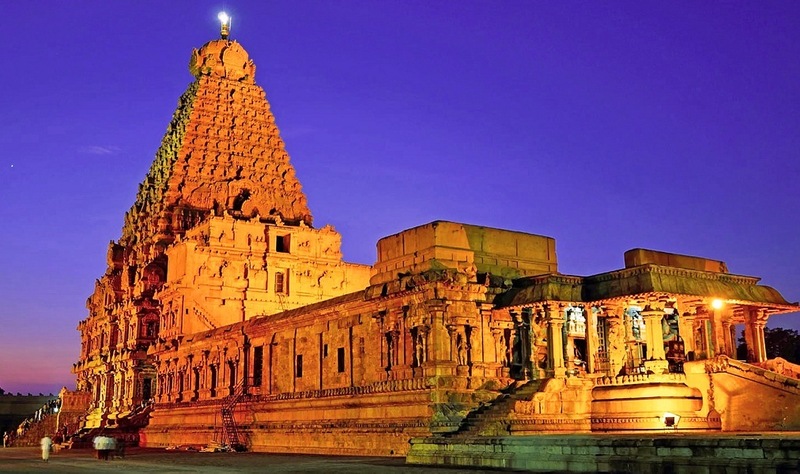 Also known as Big Temple, this symbol of Chola power dedicated to Lord Shiva is the world’s first temple constructed solely out of 1,30,000 tons of granite and it also has the distinction of being the most imposing temple vimana in South India. The 66 m high vimana of Thanjavur Temple boasts a massive rock of 80 ton and is said that a 2 km long ramp was built to carry the Sikhara to place it on the peak. It is interesting to note that no binding material was used to build the vimana and the entire structure was constructed just by interlocking stones! Another interesting thing about the temple is the afternoon shadow of Sikhara never falls on the ground. There are 250 lingams and sculptures of his 108 dance postures of Bharathanatyam in the temple premises. Part of Great Living Chola Temples, this architectural marvel is a must-see for travelers as part of Thanjavur Tour Packages. 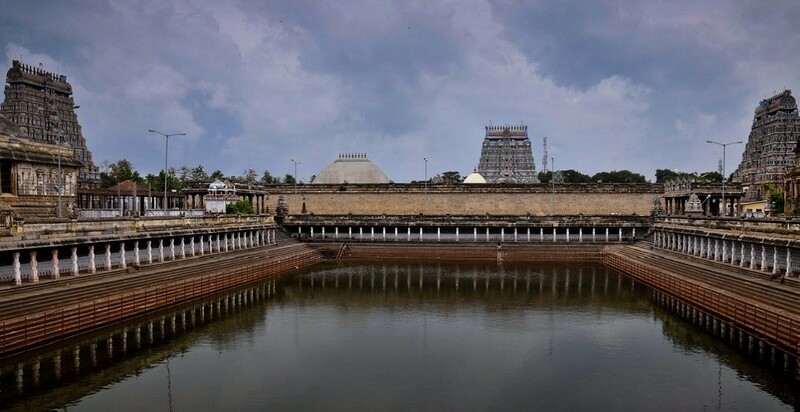 Among the foremost of 108 Divyadesams of Lord Vishnu, Sri Ranganathaswamy Temple located on the island of Srirangam near Tiruchirappalli is the largest functioning Hindu temple in the world with a mammoth 156 acres complex. 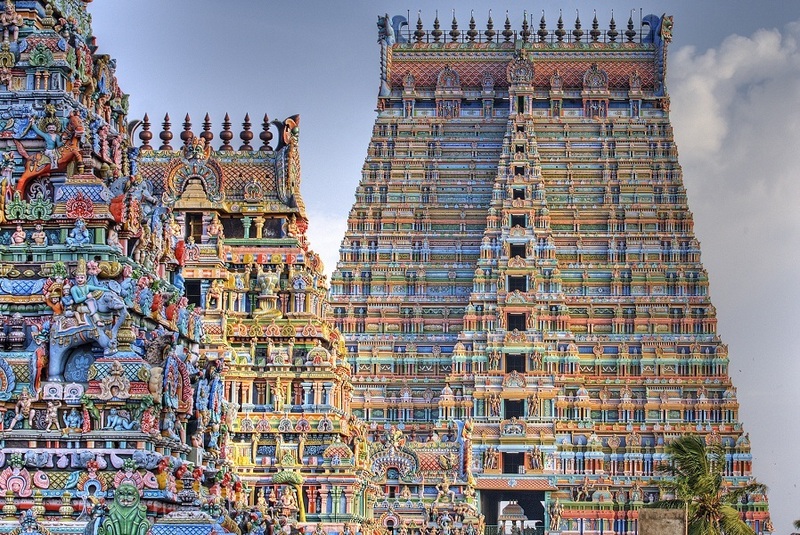 It has 7 enclosures with massive walls, 53 sub shrines, 9 sacred pools, and 21 very colorful sculpted gopurams. The entrance of the temple is crowned with the tallest temple tower in India (236 feet). Also, this is the only temple to be honoured with a UNESCO Award for Heritage Conservation in 2017. Get set to be mesmerized by the 21 feet long reclining idol of Ranganatha at this temple along with thousand pillar mandapam and an awe-inspiring Garuda statue as part of Trichy Tour Packages. Besides, one can also visit other popular Trichy Tourist Places like Rock Fort Temple, Thiruvanaikoil and Vinayaka Temple. Dedicated to Goddess Parvati, Meenakshi Amman Temple in Madurai is one of the most popular temples in India and among the largest temple complexes in Tamil Nadu. The original Meenakshi Temple was built by Kulashekara Pandya but it was rebuilt and expanded by the Nayak kings of Madurai. The Madurai Temple was shortlisted as one of the top 30 nominees for New Seven Wonders of the World as it houses thousands of monolithic pillars, 14 tall towers, countless mandapams and the main deity made of emerald. Experience the grandeur of the temple and the annual festival of Thirukalyanam as part of Madurai Tour Packages. Besides, it is also tagged as the ‘Cleanest Iconic Place’ by the Government of India in 2017. Along with Meenakshi Temple, Thirumalai Nayak Mahal & Koodal Alagar Temple etc. are the other important Madurai Tourist Places. 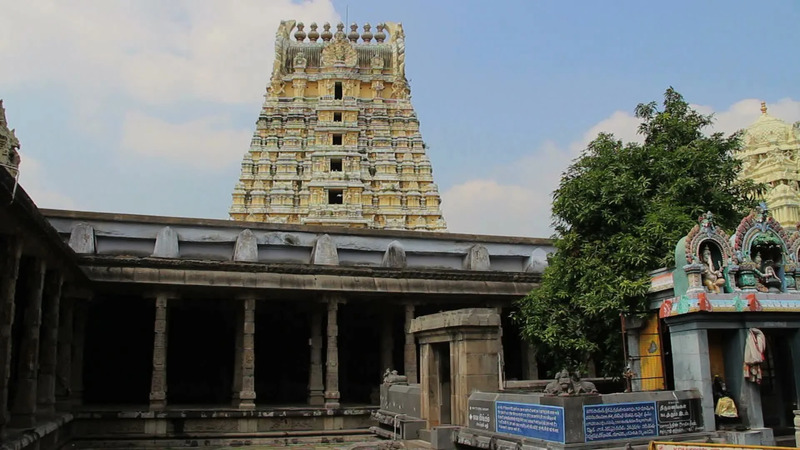 Also known as Thillai Nataraja Temple, Chidambaram Nataraja Temple is a Hindu temple dedicated to Lord Shiva in the form of Nataraja or the cosmic dancer. This is one of the most celebrated Shiva Temples in South India and among the popular tourist places in Tamilnadu. 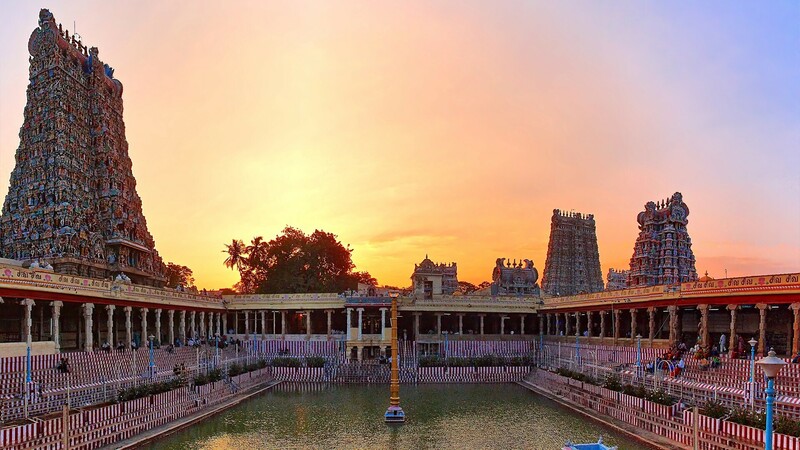 Spread over an area of 50 acres, the Chidambaram Temple is one of the five Pancha Bootha Sthalas of Lord Shiva representing sky, one of the five natural elements. It is believed that the Thillai Nataraja temple is located at the center of earth’s magnetic field. Since ancient times, it is believed that this is the place where Shiva and his consort Parvati are present, but invisible to most people. In the temple, Chidambara Rahasya is hidden behind a curtain (symbolic of Maya). Worship or darshan is possible only when priests open the curtain for special pujas. Behind the curtain are golden viva leaves, signifying the presence of Shiva and Parvati. It is believed that saints can see the gods in their physical form. The chariot shaped 1000 pillared hall, beautiful wall carvings and the lofty gopurams of the temple ornamented with carvings of Hindu gods, various manifestations of Lord Shiva and dancers representing 108 postures of Bharatnatyam are also a sight to behold. Usually it can be covered in one day along with Pichavaram mangroves as part of Pondicherry Tour. Popularly called as Rameshwaram Temple, the magnificent Ramanathaswamy Temple is one of the 12 Jyotirlinga temples of Lord Shiva in India and one among the original Char Dham Yatra. Legend has it that Rameshwaram is the place where Rama worshipped Lord Shiva to cleanse away the sin of killing Ravana. An epitome of flawless Dravidian architecture, the temple is renowned for its magnificent corridors and massive sculptured pillars. 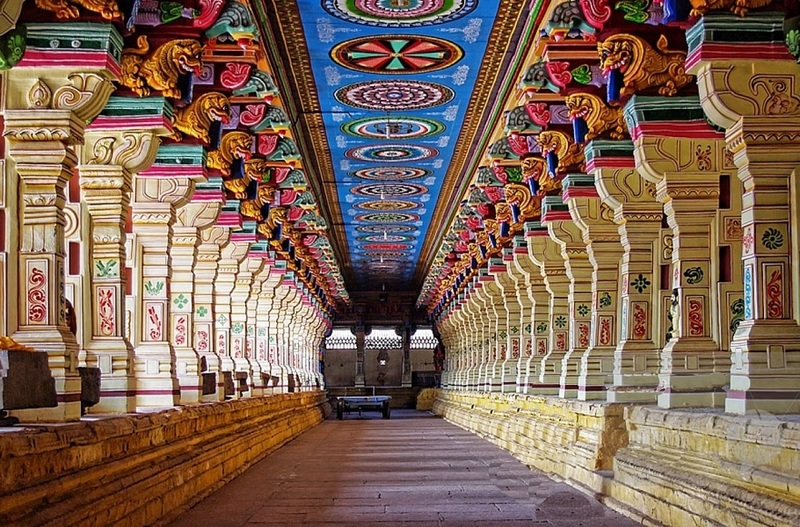 The 3000 feet long corridor of Ramanathaswamy temple is the longest and most ornate corridors in the world. Another famous feature of Ramanathaswamy Temple is the 22 wells and is said that water from each well tastes totally different and have curative features. Agnitheertham, Gandamadana Parvatham, Dhanushkodi, Kodandaraswamy Temple and Erwadi are the famous Rameshwaram tourist places. Also, Rameshwaram is the place where Lord Rama with his disciples built a bridge across the sea to rescue Sita from Lanka and can be witnessed as part of Rameshwaram Tour Packages. With the verdant Anaimalai Hills serving as a backdrop, the Annamalaiyar Temple or Arunachaleswar Temple in Tiruvannamalai is one of the greatest Shiva temples in South India where Lord Shiva is worshiped as an Agni lingam which represents fire. Built in the 9th century by the Chola dynasty, the 25 acres large Arunachalam Temple complex has nine towers and three inner courtyards. With a height of about 217 feet, the 11 storeyed Rajagopuram on East Gateway is the third tallest in all of India that was built by King Krishna Devaraya of Vijayanagar. Also, the temple complex has a number of halls while the thousand pillars hall built during the Vijayanagar period is the most notable one. The temple draws huge crowds during the Karthikai Deepam Festival on the full moon day in November where a huge fire is lit on top of the mountain and blazes for days. Tiruvannamalai along with Gingee Fort is one of the ideal Chennai weekend getaways. Nicknamed as the “City of Thousand Temples”, Kanchipuram is synonymous with Kamakshi Amman temple dedicated to goddess Parvati. Besides Kanchipuram Temple, Sri Ekambaranathar Temple dedicated to Lord Shiva is another most splendid architectural masterpiece in Kanchipuram that can be visited as part of Kanchipuram Tour Packages. Covering more than 25 acres, Ekambareswarar Temple is the one of the five Pancha Bootha Sthalas of Lord Shiva, which represents the element – Earth. Legend has it that Goddess Parvati built Prithvi Lingam out of sand and worshipped it under a mango tree here. The temple has a lofty gopuram, 5 circumambulatory enclosures and 1000 pillared hall adorning carvings of 1008 Shivlingas. 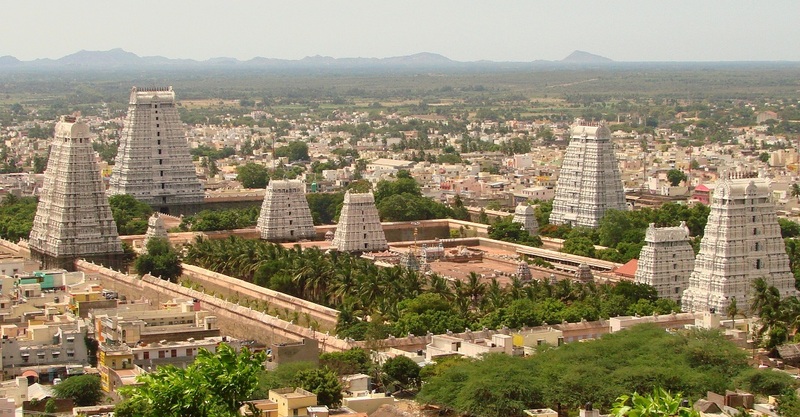 Kailasanathar Temple, Varadarajaswami Temple, and Tiruttani are the top Kanchipuram Tourist Places. All, Destinations Pilgrimage in Tamilnadu, Tamilnadu Pilgrimage, Tamilnadu Temples, Temples in Tamilnadu. permalink.